Are You Appealing to Today's Volunteers? Although volunteer participation has decreased in recent years, charities need volunteers more than ever. And many people, of all ages, want to volunteer. There are even, in the US alone, some 15 officially recognized special days that involve volunteerism. Now could be the very best time to take a look at your volunteer program and spiff it up so that your volunteers will want to come and stay. But volunteerism has changed and volunteer expectations have evolved. Today's volunteers may seem more demanding, but they really should be. It's no longer enough to just put out a generic call for volunteers and then treat them all alike once they show up. Volunteers expect to give, in order to get something back. I. Increased sense of purpose, such as knowing just how they make a difference. V. Voice or how volunteers are asked to give their time. E. Easy to sign up, to get there, to get the job done. R. Recognition. Being thanked, appreciated, and celebrated. S.Social opportunities like making new friends and working on a team. Here are 10 ways to work all of those expectations into your volunteer program. Many of us at some point have worked in the temp world. A common experience is to be sent to an office to work only to find that the office is unprepared. So you sit around trying to look busy when you are actually twiddling your thumbs. Don't let this happen to your volunteers. The temp worker, after all, needs the money and may put up with this, but your volunteers will see you as disorganized and inconsiderate. Don't bring a volunteer in until you have everything worked out, from the job description to a place to work with proper equipment, to something to do immediately. Act as though your volunteer is a guest in your home. Show him/her around. Introduce him/her to your staff and other volunteers, have your executive director drop by and say hello and thanks. Don't let your volunteer feel uncomfortable for a minute. Show that your organization is warm, friendly, helpful, and happy to see your volunteers. Get a jump on that welcoming sense by recruiting volunteers as personally as possible. For instance, people respond more favorably when asked by someone they know, or when they have just donated, or when they are surrounded by others who volunteer. Even if the task assigned is a simple one, take the time to explain it, demonstrate it, and mentor the volunteer through the first few hours. Provide a buddy, another volunteer who is experienced, to help the new one. When training a group of volunteers, be sure to use adult learning techniques such as group involvement. Volunteers don't want to be lectured to. They want to participate in the training. Include in your training clear expectations for your volunteers. Let them know what the job entails and the quality measures that you will use to evaluate their work. You can bet that the most beloved of charities, such as the Red Cross, Ronald MacDonald House, and Best Friends Animal Society spend as much time and attention on volunteers as they do on their donors. Most volunteers are willing to roll their sleeves up and do physical labor as long as it is meaningful. But grunt work is out. Do not use volunteers to do the tasks your staff doesn't want to do. Envelope licking, wheelchair pushing, and mindless filing do not appeal to current volunteers. Think of your volunteers as extra staff who are capable of performing complex tasks that take advantage of their experience and skills. Provide leadership opportunities to those volunteers who are willing and have the time to shoulder more responsibility. Do you interview each volunteer? That might not be possible for large-scale projects such as a one-day clean-up campaign or when a volunteer signs up to do a remote task online. But if you can, talk to volunteers to see what they are good at and would like to do. They will love you for your interest and for uncovering their passions and expertise. Everyone is busier than ever, and many volunteers may only have time for short term assignments. Project-oriented, rather than ongoing, tasks seem to work particularly well. Decide how much time your job will need and include that when you publicize your volunteer position. Will it take 6 hours a week? Does it need to be done on a weekend? Do you need your volunteer for the summer, for a specific season? Does the volunteer need to be available from 2 to 4 p.m. during the week? Provide lots of options so that you can appeal to millennial professionals, a busy soccer mom, or the retiree who has more time. Think about offering "alternative" opportunities, such as project-based family volunteering and even micro-volunteering and virtual opportunities. Although you will want to come up with some creative ways to formally say thanks, don't overlook the power of a simple gesture such as taking a group of volunteers to lunch, giving out gift cards, or mailing a handwritten thank you note. If you have a lot of young volunteers, be sure to you are up on your technology and use their favorite apps to say thanks and to set up social events where they can interact with their peers. Regular communication is motivating for volunteers while the lack of it is one of the chief reasons volunteers become dissatisfied. Volunteers like to have a particular person who looks after them. If your organization does not have a volunteer coordinator, be sure to assign someone to be the point person for your volunteers. Neglect can be deadly. A forgotten volunteer won't return, and you may have lost a donor as well. Let your volunteers know how they are making a difference. Share success stories about your clients and programs. Bring volunteers up-to-date on progress toward your organization's goals. Let them see your work in action through tours, presentations on the issues by your experts, and by inviting them to provide suggestions about how your work can be done even better. Volunteering is a great way for many people to socialize, so provide the opportunity to do so. Become a matchmaker for friend making. If you think a couple of volunteers would get along famously, provide that opportunity by assigning them to do a particular job together. Keep in mind that younger volunteers especially enjoy volunteering as a group, particularly with their work groups. 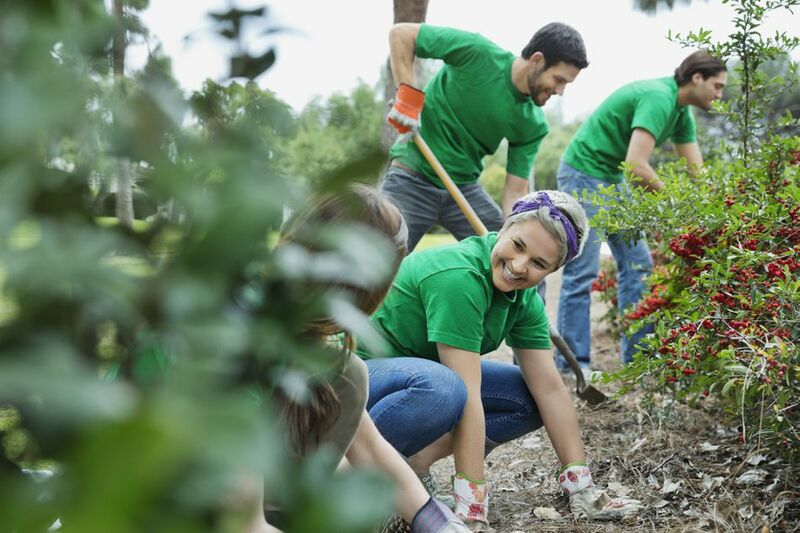 Actively seek out companies that provide employee volunteer programs and plan opportunities that work well for them. Anyone who is willing to volunteer for an organization is likely to have a healthy curiosity and willingness to try new things. Indeed, many volunteers get involved with causes just so they can learn new skills or about interesting topics and issues. Provide that opportunity. Turning your volunteer job into a mini educational experience will be highly valued by potential volunteers, and will likely result in some great referrals as your volunteers tell others about what a great experience they had working with you.